Another vintage poster framed - METROPOLIS! 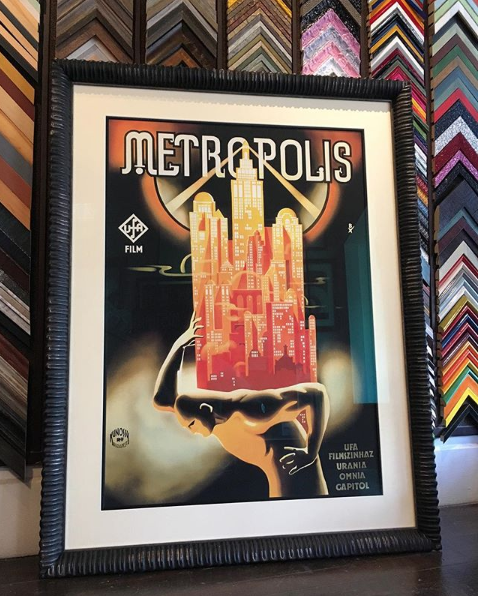 For this vintage Metropolis Movie Poster we chose a frame that mimics the font in the print. Style wise and conceptually pretty perfect fit and we love how this custom picture frame job turned out. 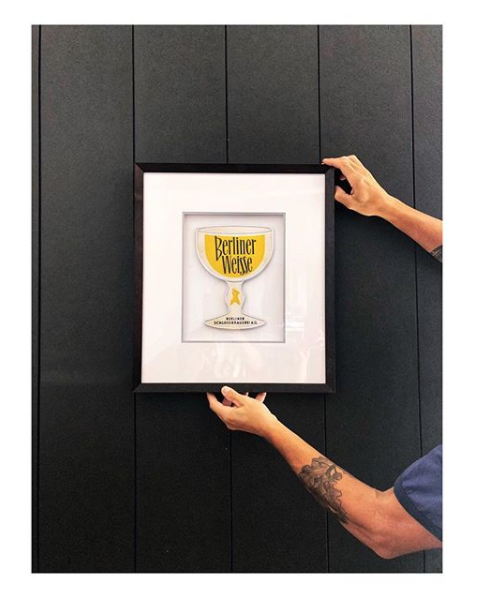 Again, we get to frame the best art here in our San Francisco frame shop! We love the 80s and these pieces by Vanessa Vargas @badgerbite using the one and only Nagel on laser discs!! We chose a true contemporary custom frame design.